You can add a shiny gloss finish to the front or to all sides of your cards with our Gloss Finish Option. Our pearlescent cardstock brings a subtle shimmer to your cards. Our Gloss Finish Option is therefore not available for this type of card. 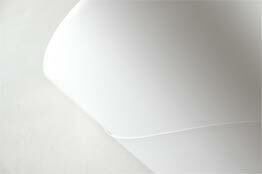 Our textured white cardstock is classy and chic and adds definition to your creation. Our Gloss Finish Option is therefore not available for this type of card. Our premium white cardstock has a smooth velvety surface and adds elegance to your design. Our Gloss Finish Option is therefore not available for this type of card. Our customer services are open from 9H-17H, Monday to Friday. If you have any special requests concerning designs, please email: info@planet-cards.co.uk, or use our online contact form. Ensure that your creation is flawless before it is printed. You will receive a personalised email as soon as your order is sent to print. Choose this option to remove our logo from your creation. Standard white envelopes come free with your order but you can choose to upgrade them to colour envelopes. *CYBERM18: 30% off all card orders, min. purchase £50 (photo prints excluded). Code is valid on one order per customer only. This offer cannot be combined with or used in conjunction with other promotional codes. Until 26/11/2018. *25% off your order, min purchase £20 off @ planet-cards.co.uk, offer excludes delivery, until 15/10/17. Unfortunately this offer cannot be combined or used in conjunction with other promotional codes. All the normal terms & conditions apply. *Offer can be used once per customer. Cannot be used in conjunction with other discount codes and offers. Expires 25/06/2018. *Enjoy 50% off sitewide until 26/11/2017 included. Maximum order amount of £200. The code is valid on one order per customer only. This offer cannot be combined with or used in conjunction with other promotional codes. Delivery is excluded. *Enjoy 30% off sitewide until 02/01/2018 included. The code is valid on one order per customer only. This offer cannot be combined with or used in conjunction with other promotional codes or credit pack offers. Delivery is excluded. *Code HNY20 : 20% off Christmas thank you cards. Offer ends 12.01.2018, can be used once per customer. Cannot be used in conjunction with other discount codes. *Code WISHES30: 30% off Christmas thank you cards. Offer ends 19.01.2018, can be used once per customer. Cannot be used in conjunction with other discount codes. *Code JAN30: 30% off sitewide. Offer ends 26.01.2018, can be used once per customer. Cannot be used in conjunction with other discount codes. 40% off all cards & invitations, valid on one order per customer, 24h only, cannot be combined or used in conjunction with other discount codes. Extended: 40% off all cards & invitations, valid on one order per customer, 48h only, cannot be combined or used in conjunction with other discount codes. *20% off. all cards min.purchase £40, excluded options. Offer can be used once per customer. Cannot be used in conjunction with other discount codes and offers. Expires 13/05/2018. *CARD-MUK18 : £10 OFF your order, min. order £50 until 27/05/2018. Unfortunately this offer cannot be combined or used in conjunction with other promotional codes or credit pack offers. *SUN5: 15% off no min. purchase. Offer avalaible until 10/06/2018. You can only add one code to an order, to use multiple codes, please place multiple orders. Unfortunately this offer cannot be combined or used in conjunction with other promotional codes or credit pack offers. Codes are valid on one order per customer only. This offer cannot be combined with or used in conjunction with other promotional codes or credit pack offers. Photo prints and delivery are excluded. Until 06/07/2018. Codes are valid on one order per customer only. This offer cannot be combined with or used in conjunction with other promotional codes or credit pack offers. Photo prints and delivery are excluded. Until 15/07/2018. *THANKS4: 40% off all thank you cards. JULY18: 30% off everything else. Codes are valid on one order per customer only. This offer cannot be combined with or used in conjunction with other promotional codes. Until 29/07/2018. Codes are valid on one order per customer only. This offer cannot be combined with or used in conjunction with other promotional codes. Until 01/08/2018. AUGUST18: 30% off everything else.. Codes are valid on one order per customer only. This offer cannot be combined with or used in conjunction with other promotional codes. Until 05/08/2018. *SAVE15: £15 OFF all orders, minimum purchase £30. Applies to all products sitewide Planet Cards and Planet Photo. Codes are valid on one order per customer only. This offer cannot be combined with or used in conjunction with other promotional codes. Until 12/08/2018. *SUM8: 40% off sitewide, min. purchase £20 (photo prints excluded). Code is valid on one order per customer only. This offer cannot be combined with or used in conjunction with other promotional codes. Until 19/08/2018. *MOMENT35: 35% off sitewide, min. purchase £40 (photo prints excluded). Code is valid on one order per customer only. This offer cannot be combined with or used in conjunction with other promotional codes. Until 20/09/2018. Code is valid on one order per customer only. This offer cannot be combined with or used in conjunction with other promotional codes. Until 31/10/2018. *WINTER19: 20% off all orders on planet-cards.co.uk no min. purchase. Code is valid on one order per customer only. This offer cannot be combined with or used in conjunction with other promotional codes. Delivery, options, cards, photo gifts cards excluded. Ends 23/01/2019. Sign in or register to add this item to your favourites ! Some permissions are missing in order to connect you via Facebook - please review the info that you provide and try again. Link your Planet Cards and Facebook accounts by entering your Planet Cards password. Your new password has been sent by email. Email address does not exist!